With its machined shoulder, the new RS implant fits seamlessly into line alongside the S and RI implant ranges, which have already been employed millions of times. The surface of the machined shoulder boasts a microroughness comparable with that of natural tooth enamel (Ra ˜ 0.4). The RSX implant is equipped with a structured shoulder and, as such, responds to the individual requirements of the patient treatment and preferences of the dentist. Each version offers unique advantages. 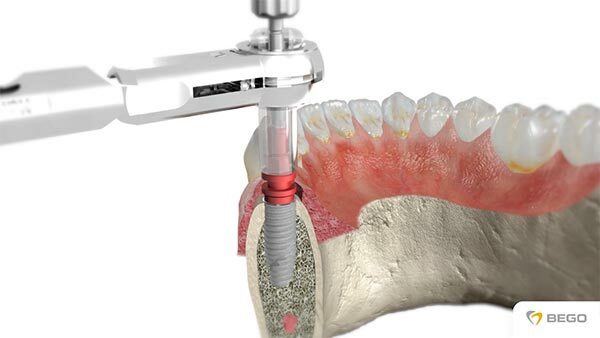 Both the RS and the RSX implant are prepared with the same surgical tray, allowing the dentist to act based on the findings in the individual case, and select the required implant system as late as during the operation. A particular advantage is that both systems possess an indentation on the implant shoulder surface (a so-called platform switch), which, according to finite elements calculations at the Koblenz University of Applied Sciences, led by Prof. Dr-Ing. Matthias Flach, leads to considerable minimisation of the mechanical stresses to which the implant is subjected in masticatory loading. The microgrooves on the implant head were bionically optimised in cooperation with the Koblenz University of Applied Sciences and a patent is pending (not yet published). 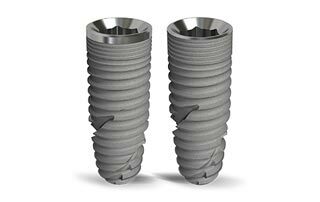 The innovative design of the microgrooves means that stress peaks in the crestal bone are reduced, with the result that the maximum bone loading no longer occurs where the implant enters the bone, but instead is displaced apically. This is achieved through equal distribution of the stress, which considerably reduces the risk of unphysiological overloading. In biomechanics, it is assumed that this type of overloading can lead to bone loss. 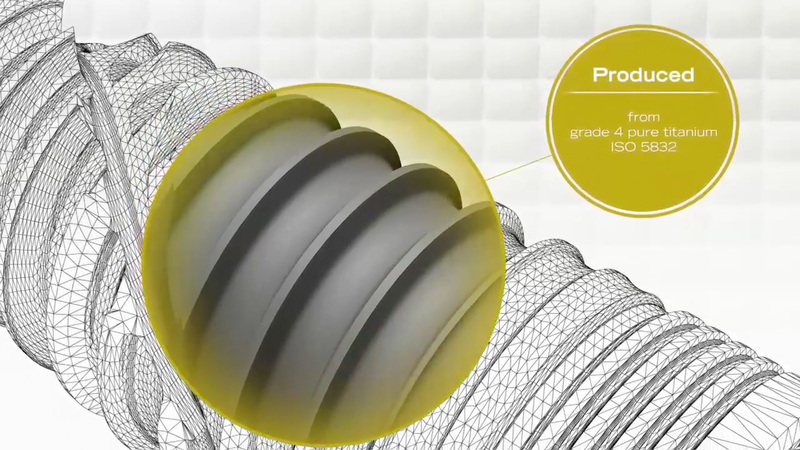 The efficient interplay between the bionic microgrooves on the BEGO Semados® RS/RSX implant for which a patent is pending (not yet published) and the reduced-diameter PS-Line abutments creates an ideal basis for long-term hard and soft-tissue results. Stress peaks in the implant are moved to the centre of the implant which, in turn, serves to protect the crestal, peri-implant bone. Consistent implementation of uniform diameters and gingival heights is key to the success of treatment.